For many, the office is wherever you want it to be these days. Take advantage of remote work opportunities by trading in your traditional desk for a portable lap desk that lets you work from the comfort of your couch or your bed. The ReviewLab Team dug deeper by conducting in-depth research that explores several categories of lap desks, including lap pillow desks, lap desks with lights, lap desks with storage and cooling lap desks. For each category, we evaluated desks based on their convenience, functionality, and features to find the best model for your needs. Read more about our methodology. The adjustable legs and tilting desktop of this lap desk give it a degree of customization not seen with other models. Add to that its sturdy build, attractive bamboo construction, and useful storage drawer and it's easy to see why this desk from Nnewvante is our top pick. With a desktop for laptops and a slot for tablets, this all-purpose lap desk supports all your favorite devices. The lightweight design, which sports a handle for increased portability, transitions seamlessly from work to home and back again. Get a sturdy work surface at an affordable price with his no-frills lap desk from Nnewvante. This desk includes design features, like table legs with non-slip rubber feet, that ensure the desk’s stability on a wide range of surfaces. Keep your laptop – and your lap – cool with this minimalistic lap desk from 2Koi. This simple bamboo surface, cut with air vents, creates a barrier between you and your device that protects it from overheating. The microbead cushions on this Halter lap desk conform to the legs for a sturdy, comfortable fit. Perfect for long laptop sessions on the couch or in bed, this plush desk takes all the discomfort out of remote work. 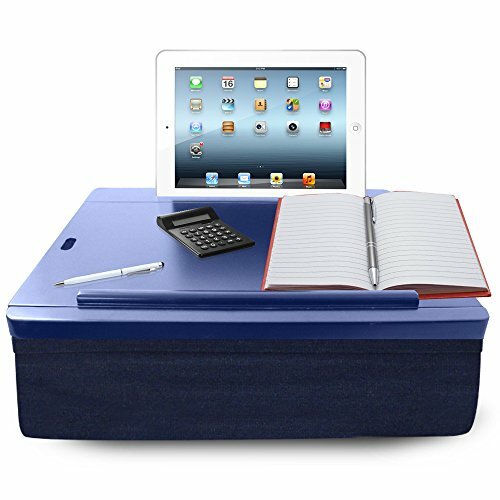 This cushy lap desk has ample room for all your books, device accessories, and miscellaneous supplies in its built-in storage compartment. The desk also features a thick microbead pillow so that it stays comfortable and secure even with full storage. The powerful, built-in reading light on this lap desk pairs well with printed media and e-readers. The desk's cushy, memory-foam construction and easy portability make this model our favorite light-up lap desk. 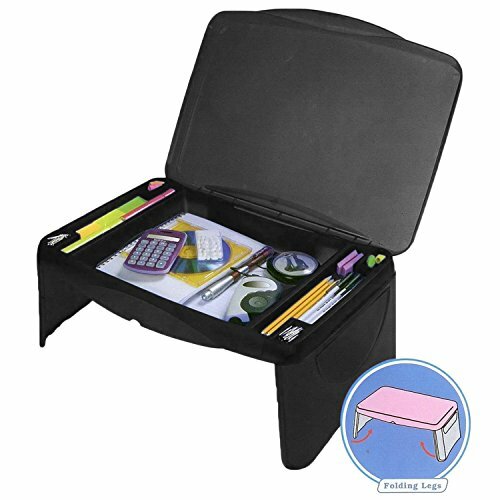 There’s room for all your office supplies in this portable lap desk with built-in storage. While the MavoCraft Folding Lap Desk looks and acts more like a traditional desk than many other lap desks, it has all the convenience of the most innovative models. Protect your devices from overheating with this lab desk that is also a powerful cooling fan. With its raised desktop and built-in fan, this adjustable lap desk is all about airflow. Cooling lap desks, like this one, can extend the lifespan of your devices. This lap desk mixes style and functionality in an attractive design that ticks all the boxes. With a raised desktop for airflow and a whisper quiet fan, this sleek bamboo lap desk is both devilishly practical and undeniably elegant. 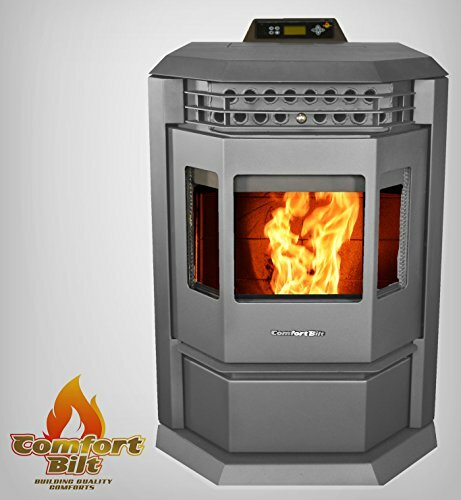 When it comes to portal products, lighter is, typically, always better. Wooden lap desks look elegant, but they weigh more than their aluminum and plastic alternatives. This makes them less practical if you’re planning on bringing your lap desk with you as you move from place to place. On the other hand, if you’re looking for something sturdy to keep by your bedside (think: breakfast in bed), a heavier wooden lap desk is a solid choice. Lap desks elevate your laptop so that you can work comfortably in any position. If you shift position or move around often, you’ll want a lap desk that moves with you. Some desks, like lap pillow desks, conform to any position. Others have adjustable legs so that you can make your workspace higher or lower depending on what you need at the moment. Lap desks protect your devices from body heat, while also protecting your body from the heat coming off your device. Some lap desks go a step further to prevent overheating by incorporating USB-powered fans. If you need your laptop to function at top performance (if, for example, you’re using your laptop for gaming), a lap desk with good ventilation is critical. Some lap desks include specific features, like lights and storage, that are useful for specific uses. Whether or not these features are useful for you depends entirely on what you plan to do with your lap desk. If you plan to use your lap desk as a writing or reading desk, a light helps you work later. If you frequently use accessories like a computer mouse, storage spaces helps you keep these extras organized. The simplest lap desks are desktops, typically made of wood or plastic, that are designed to keep your devices cool and, ultimately, little else. 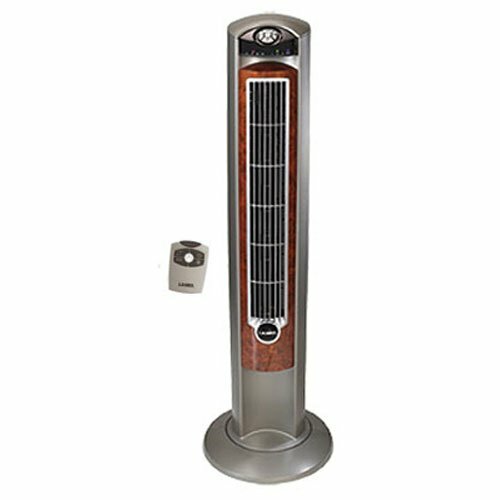 These models typically go for around $25 or less. 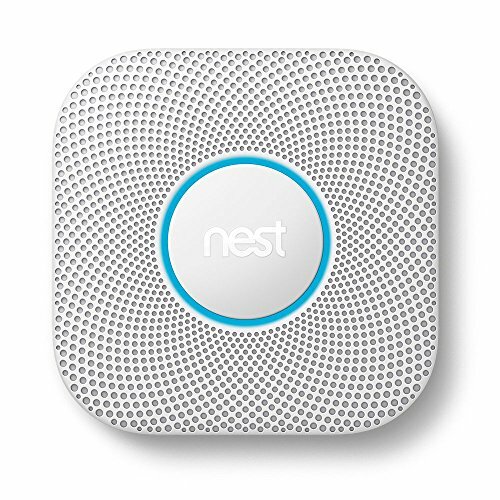 As you add functionality – like storage, reading lights, wrist pads, or cup holders – the cost increases marginally to about $40, depending on the features. Other variables – like the attractiveness of the design and the quality of the construction materials – tend to have a bigger effect on the price of the lap desk, with some premium models topping $100. With a few quick adjustments, this sleek lap desk transitions from breakfast tray to raised desktop to bookstand. The understated versatility of the Nnewvante Adjustable Bamboo Laptop Desk makes it our top pick for best overall lap desk. It also includes features, like a removable baffle and a small storage drawer, that add even more functionality. While this bamboo model is highly adjustable, it’s not bulky or awkward. Instead, it’s one of the most attractive lap desks on the market. Adjustable height. The legs of this adjustable lap desk feature secure pins that make it easy to move the desk up or down, as needed. Thanks to its adjustable height, reviewers find this lap desk appropriate for a wide range of uses. Tilting desktop. The top of this lap desk tilts upwards on a metal tab to as high as 40 degrees, which means it’s possible to find the perfect angle at which to watch a movie or read a book. Drawer for storage. Happy reviewers say they keep important laptop accessories, like a computer mouse or a collection of USB sticks, in this small storage drawer under the desktop. Sleek design. The sleek design of this lap desk makes it functional, without making it frumpy. The desk’s smooth bamboo body is both practical and chic. Folds away. Fold up this lap desk for easy storage next to your couch, your bed, or your desk. Heavy. This wooden lap desk weighs about 6 pounds and is, therefore, somewhat impractical as a portable desk. This streamlined lap desk has all the most useful features without any of the design fluff that plagues other lap desks. While our runner-up for best overall lap desk doesn’t look complex, its handy tablet slot and strategically placed wrist pad make it one of the best designs on the market. The Sofia + Sam All Purpose Lap Desk is a no-nonsense approach to the lap desk that makes working from the bed or couch a breeze. Tablet slot. Reviewers love this handy slot that turns your tablet into, essentially, a laptop screen. Just add a keyboard and start typing. Multi-functional wrist pad. This lap desk’s memory foam wrist pad has two functions. First, it cushions the wrists. Second, it keeps books and laptops in place on the desktop. Super portable design. It’s easy to carry this four-and-a-half pound lap desk from place to place using the convenient handle. Difficult to adjust. While it’s easy to keep this flat desk on your lap as you move around, it isn’t possible to adjust the desk’s height. This makes the design unwieldy for users who are smaller or bigger than average. Work curled up in bed or stretched out on the rug with this simple, four-legged lap desk. Alternatively, place the small desk, which is just under a foot high, on top of a table or traditional desk to build an ergonomic standing desk that is just the right size for a person of average height. This fiberboard model folds for easy storage next to your bed at home or under your desk at work. Just pull it out when you need it and fold it away when you don’t. Sturdy design. 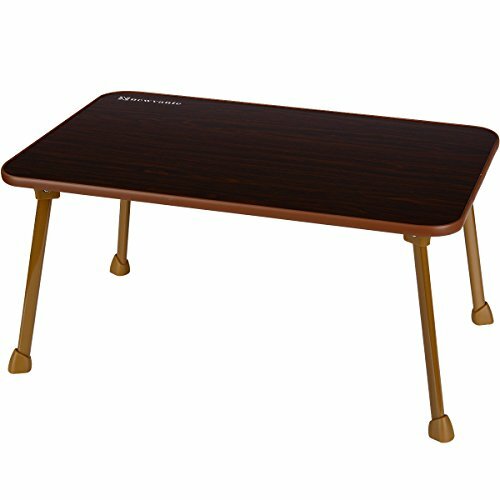 The sturdy legs of this lap desk don’t buckle or bend while you use it. The desk is made of heavy fiberboard, which, reviewers say, keeps it grounded. Good ventilation. Air circulates around the lap desk’s raised desktop, which keeps devices sitting on the desk cool. Difficult to adjust. This desk is fixed at a height of one foot. This limits the lap desk’s use and makes the design uncomfortable for people who are larger or smaller than average to use. This simple lap desk achieves one of the main objectives of any lap desk: protecting laptops and other devices from damaging body heat. The Koi Minimal Bamboo Lap Desk also keeps heat from building up between the device and the desk with a series of vents. These vents also help keep the portable desk lightweight and double as handles. The desk’s stylish, wooden surface is cross-laminated for a clean finish that is smooth, but not slippery. Protects against heat. 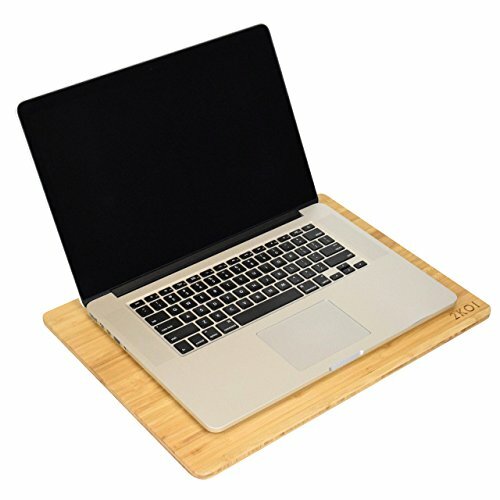 While reviews on the effectiveness of the lap desk’s vents are mixed, most agree that the wooden barrier protects their devices effectively from body heat. Cooler devices perform better and have longer battery lives. Lightweight and portable. Weighing in at just 1.5 pounds, this lap desk doesn’t feel heavy on the legs. Because it’s so light, it’s easy to carry this desktop from place to place. Easy to clean. This simple design is, by far, the easiest lap desk to clean. All it takes is a quick wiping down to keep this model looking fresh. Not particularly ergonomic. While it’s easy to adjust this flat desk on your lap, the desk is ultimately too thin to make a real difference to your workplace ergonomics. Uneven finish. While this stylish lap desk looks sleek online, some reviewers mention receiving models that look a little more rustic in person. Get all the benefits of a raised workspace, minus all the unwieldiness, with a lap pillow desk. A malleable lap pillow desk moves with you as you shift positions and locations throughout the day. Wherever you work, a lap pillow desk works too. These lap desks are lightweight and comfortable, which makes them ideal for long term use. Their thick cushions also effectively protect your legs from the heat your device gives off, shielding your skin from discomfort. Work comfortably from your bed, couch, or floor with this lap pillow desk from Halter. This lightweight model, cushioned with two microbead pillows, molds exactly to the legs for a comfortable and secure fit. While comfort is the top priority, this lap desk doesn’t sacrifice functionality to achieve it. The desk keeps devices cool with split cushions and a raised desktop that tilts upwards to let air circulate under your devices. When you’re done with the desk, it folds flat for easy storage. Desktop tilts at eight angles. This lap desk tilts upwards at eight different angles so that you always get the best perspective on your device. Dual pillows promote airflow. Air flows between this lap desk’s two cushions, keeping your devices cool without sacrificing comfort. Good ventilation. When the desktop is tilted, air circulates under the laptop, exposing its built-in ventilation system and, ultimately, keeping it even cooler. Folds flat. This compact desk folds flat, which means it is super easy to store, to transport, and to carry around in a backpack. Lacks sturdiness. This lightweight desk is easy to transport, but – at 2.5 pounds – some reviewers complain that it lacks the sturdiness of heavier models. Keep all your important documents and accessories in this briefcase-inspired lap desk. The flat desktop of the iCozy Portable Cushion Lap Desk swings open to reveal a sizeable storage compartment. A large microbead pillow keeps whatever you place in storage safe, while – at the same time – it cushions your legs from the weight of the desk. The iCozy combines the storage and sturdiness of a traditional desk with the comfort of a pillow desk. Large storage compartment. 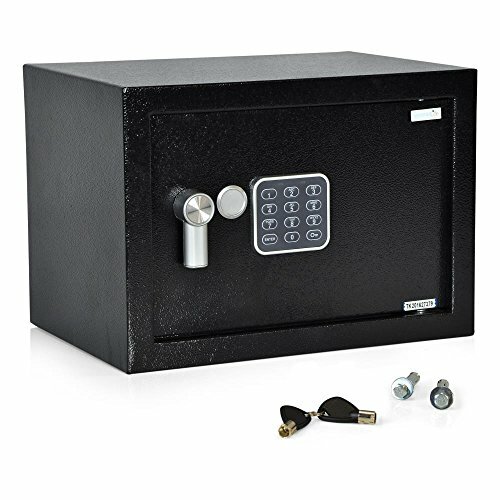 The iCozy storage compartment is approximately 14 inches wide, 17 inches long, and 5 inches deep. This makes it big enough to hold everything from headphones to journals to coloring books. Thick microbead pillow. Aside from the desktop, the entire lap desk is covered in a thick microbead pillow that cushions the legs against the desk. This means that, even when the storage compartment is full, the desk is comfortable to use. Tablet slot. This handy slot turns your tablet into, essentially, a laptop screen. Put on a movie or place a keyboard on the desktop and start typing. Briefcase handle. This lap pillow desk sports a briefcase-inspired handle for easy transport. Difficult to adjust. This desk is fixed at a height of approximately 6 inches. This limits the desk’s use and, also, makes the design uncomfortable for some people. Heavy. This lap desk weighs about 7.5 pounds, which makes it somewhat impractical as a portable desk. Flip through printed documents, write reports, or get lost in your favorite book on a lap desk with a built-in light. From flipping through last month’s bills to writing late night journal entries, an illuminated workspace dramatically increases the number of tasks you can accomplish on your lap desk. These desks also direct light onto your workspace without lighting up the entire room, making them perfect for working in the same room as a sleeping partner or roommate. 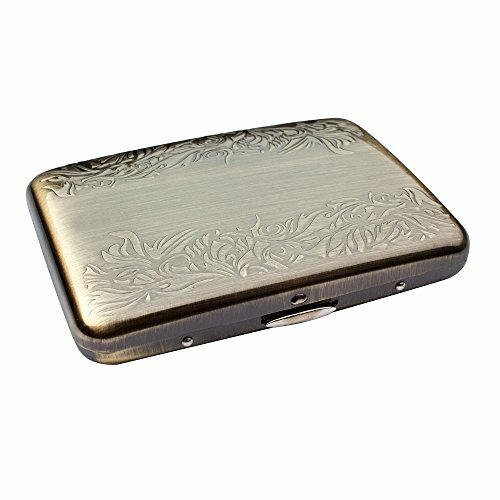 Protect your eyesight by using a reading light to illuminate books, documents, and other printed media on your lap desk. 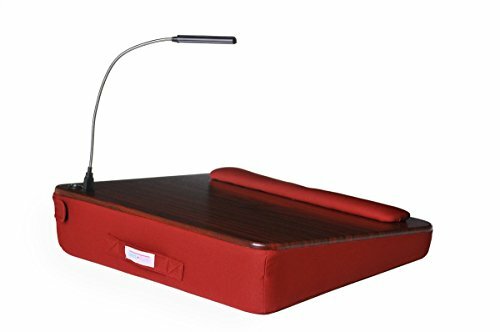 This particular lap desk has its own built-in reading light. The light stores securely under the wrist pad while you work on your device. Then, when you need it, all you have to do is pull it out and switch it. If you’re using both at once, connect the battery-powered light to your laptop to preserve the light’s power. 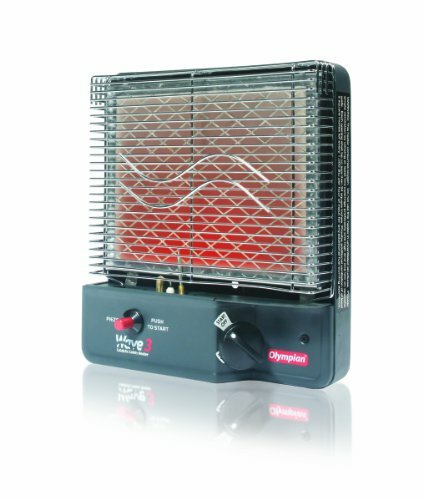 Powerful reading light. This powerful reading light illuminates your work space so that you can read and write comfortably (and late into the night) without straining your eyes. The light can be powered by either batteries or a USB extension. Comfortable memory-foam base. The base of this lap desk is made of comfortable memory foam that’s easy on the legs and knees, even after hours. The wrist pad, too, is made from the same plush memory foam. Briefcase handle. This lap desk sports a briefcase-like handle for easier transport. Difficult to adjust. While this flat lap desk moves with you as you shift positions, the desktop is fixed at a permanent incline of approximately 20 degrees. This means it’s impossible to adjust your perspective on devices like tablets. Heavy. 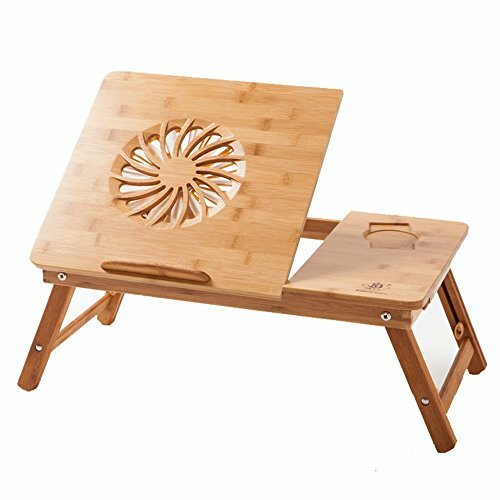 This lap desk weighs about 4.8 pounds, which is heavier than some more portable alternatives. Store essential laptop accessories, like your USB sticks or a computer mouse, in the roomy compartments of a lap desk with storage. Thanks to these lap desks, the most important items are always close at hand. Lap desks with storage also keep your laptop accessories, documents, books, and other possessions organized in between uses. These lap desks take all the best features of a traditional desk and package them in a lightweight, portable model that you can take anywhere. Keep your projects organized with this folding lap desk from MavoCraft. This model is ideal for portable projects – like drawing, painting, or scrapbooking – that you can take with you from room to room or house to house. The desk’s lightweight, plastic construction means that, even when the storage compartment is completely full, the entire desk will never weigh more than 10 pounds. 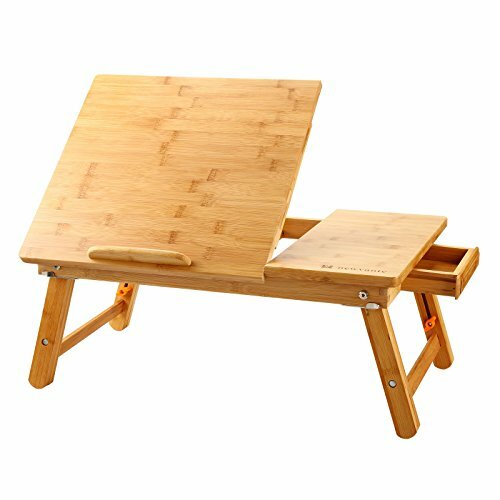 This super portable lap desk is, then, the perfect home for all your ongoing projects. Ample room for storage. The 2.5-inch deep storage compartment can hold up to 7 pounds of supplies, which means there’s room for all your documents and laptop accessories under the desktop. Ultra lightweight. Weighing in at just 2.8 pounds, reviewers say this plastic lap desk is easy to pack up and to move from place to place. Folds flat. This compact desk folds flat, which means it is super easy to store, to carry, or to fit in a travel bag. Difficult to adjust. This desk has a clearance of around 5.5 inches. This limits its use and, also, makes the design uncomfortable for larger people to enjoy. When your device overheats, its performance suffers. Hot devices slow down as they struggle to run their internal cooling systems and their operating systems at the same time. A device that frequently overheats also has a shorter battery life, since exposing a full battery to heat degrades its lifespan. A cooling lap desk can preserve your laptop’s performance and its battery life. These desks also shield your laptop from the heat coming off your body. Lap desks are about two things: first, making work comfortable and, second, protecting your devices from heat. 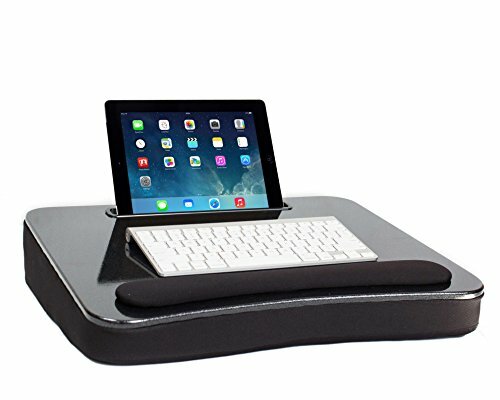 This lap desk from Nearpow does both spectacularly. First, the desk’s highly adjustable design melds to a wide range of body types, work styles, and locations. Adjust the height and angle of this desk to transform it from a bed tray to a standing desk and back again. Second, the desk includes an electric cooling fan that circulates air around your devices to protect them from overheating, even under heavy use. Cooling fan. The electric fan on this lap desk helps prevent overheating, which keeps your devices performing at their best. To turn the fan on, just plug its USB extension into your laptop. Adjustable height. 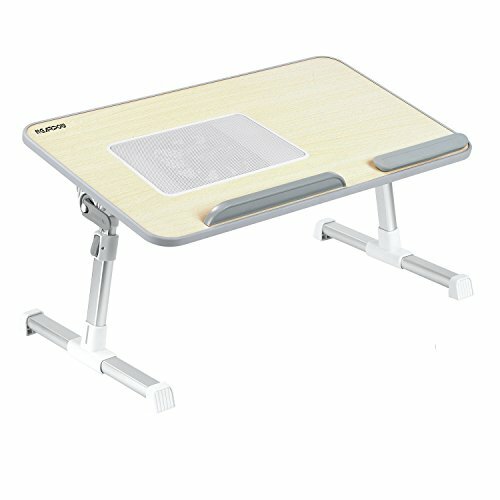 The legs of this adjustable lap desk move up or down on secure pins. Because its height is adjustable, this lap desk is works for a wide range of uses. Tilting desktop. The top of this lap desk tilts upwards on three settings: 15 degrees, 30 degrees, and 45 degrees. It’s easy to find the angle that suits you in any given situation. Removeable features. The lap desk includes extras, like a baffle and a silicon wrist rest, that add functionality. If these features get in your way, however, you can easily remove them and then replace them when you need them again. Folds flat. This compact desk folds flat, which means the desk is super easy to store, to carry, or to fit in a travel bag. Less stable than some alternatives. Some reviewers find this lanky desk less stable than alternatives that, for example, have rubber feet that keep the desk in place. Alongside functionality, this bamboo lap desk adds understated elegance to any table, couch, or bed. The feature-rich desk also includes useful extras – like a cooling fan to prevent overheating, a removeable baffle that holds your devices in place, and a cup holder for coffee – that improve the comfort and productivity of remote work. The cooling fan is particularly useful. 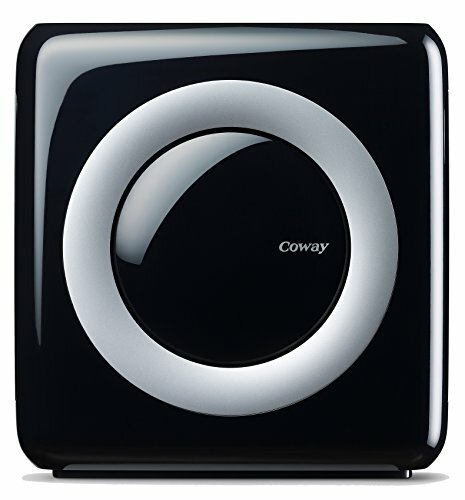 Powered by your device, the fan circulates air through the desktop to keep your devices functioning at top performance. Cooling fan. A small electric fan, cut into the desktop, keeps your devices from overheating. To turn it on, just plug the USB extension into your laptop. Adjustable design. The legs of this adjustable lap desk move up or down on secure pins. 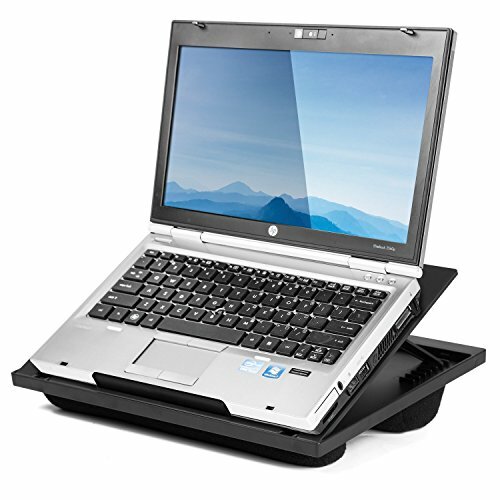 The top of this lap desk also tilts upwards to 40 degrees, making it possible to work at an angle. Drawer for storage. Keep important laptop accessories, like earbuds or a USB sticks, in this small wooden storage drawer. Elegant design. This lap desk’s elegant design is feature-rich, yet still looks understated and clean. Its smooth bamboo construction makes for a stylish finish. Delicate construction. While this desk withstands normal use nicely, it doesn’t fare so well in other situations. Some reviewers report wear and tear after rough handling.